Mexico's President Fights Gas Crisis, While Mexicans Endure Long Lines With Jokes President Andrés Manuel López Obrador says his crackdown on stolen fuel is working, but long waits in several states persist, distribution bottlenecks continue and new acts of gas theft are reported. 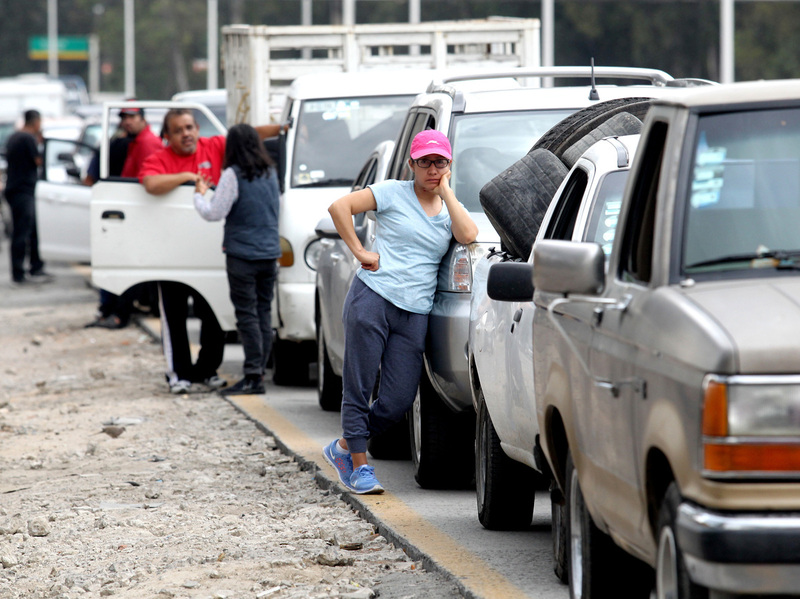 Motorists wait in line for hours to buy gasoline at a Pemex service station in Guadalajara, Mexico, on Sunday. The Mexican president temporarily closed some of the state oil company's pipelines, in a bid to wipe out rampant fuel theft.